Easily create and share your child's custom link with friends and family for a boost in sales. Our Education Foundation is all about partnerships and Major Saver makes fundraising super simple. The Major Saver Program connects our community, businesses, schools and students in an easy-to-manage package. Major Saver is an important part of accomplishing our Mission! Students, Teachers and Schools win! We love the tremendous benefits that go along with participating on the Major Saver card. Along with the free cost to participate, we get a great return from community patrons and really enjoy supporting our local schools. I feel very comfortable involving my kids in the Major Saver program. This fundraiser is safe, easy and fun! My kids really look forward to participating in the Major Saver campaign each year. I love Major Saver! I have lots of fun selling cards to my family and friends. 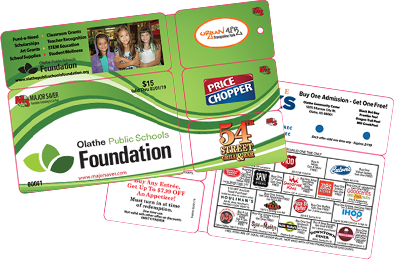 I can earn really cool prizes when I sell Major Saver cards. Plus, I love to take my parents out to eat! Major Saver is proud to partner with the Union R-XI Foundation and the Union schools in beautiful Union, Missouri! This year, the Union RX-I Foundation will cross the $100,000 mark on funds generated by the Major Saver campaign! Check out their cool new website! 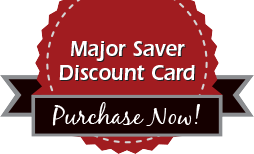 Purchase Your Major Saver Card Today! Visit www.majorsaver.com/app from your mobile device to download our mobile app and purchase a virtual card.